send me the link by just clicking here & pasting the web address in the body of the email. The Army, Air Force and Navy exchange will start allowing all honorably discharged veterans to shop online, (think Amazon, only cheaper with no taxes) starting on Veterans Day, November 11, 2017 but you must register first. • State law provides a basic $1,000 municipal property tax exemption for qualified veterans and their surviving spouses. An exemption is a reduction in the property’s assessed value on which taxes are owed, not a credit against the amount of the tax. An honorable discharge, issued by the Department of Defense (DD-214) must be filed with the Town Clerk prior to October 1. They must be submitted, in person,at the Assessor's office. No on-line or electronic filing is available. • Veterans, who have ninety days of wartime service, including Merchant Marines, who served during WWII, are eligible for a $1,500 exemption for property tax purposes. You have the option to choose to apply this exemption to your real estate or automobile tax. • Veterans below a certain income level and/or service connected disabled veterans are eligible for additional property tax exemptions (up to $10,000 for paraplegics). Surviving spouses of veterans may also be eligible for this benefit. If you think you know someone that might have been stationed there - pass it on! American Legion Post 133 is now on Facebook. Connect with us now by just CLICKING HERE. Application for VA disability benefits. to veterans and their families. death benefits and other important topics. 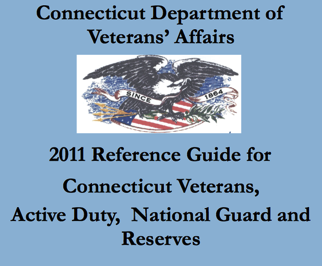 State certified to assist you in obtaining your benefits under the CT Soldiers', Sailors', and Marines' Fund. 5 Are you a recently separated veteran? A form DD214 represents one of the most important documents you may ever possess. The DD214 contains data needed to verify active military service. Many veterans recognize the official moniker for this document as "DD Form 214, Certificate of Release or Discharge from Active Duty." Start the replacement procedure as soon as you discover you have misplaced or lost your original form. You can request a replacement DD214, online, from the comfort of your own home. For the latest in U. S. veteran benefits check out the Veterans Benefits Administration. For U. S. veteran news check out the Department of Veteran Affairs News. Guide to State of Connecticut Benefits. Connecticut Veterans War Time Service Medal. ALL MILITARY, all the time! Enjoy all the benefits of the largest online military community for free. Check it out (& enroll now) by CLICKING HERE. Benefits for Military - Are You Eligible? Our thanks to Social Security Public Affairs Specialist Yolanda York, who wants you to know that the SSA honors those who have served. They offer a wide range of services for Veterans and active duty military. Service members who return home with injuries have access to an expedited process. Learn more about it on their Wounded Warrior website. Benefits through Social Security differ from VA benefits, requiring a separate application. Active duty military on medical leave or hospitalized should consider applying for disability benefits. Additionally, families of the fallen may be eligible for Social Security survivors benefits. Learn more about Social Security survivors benefits here. If you’ve served in the Armed Forces and you’re planning your retirement, you’ll want to read Military Service and Social Security. You also may want to visit the Military Service page of their Retirement Planner, online here. A number of Iraq War Veterans are experiencing major dental problems since returning home. The problem for these veterans is that the VA doesn’t pay for dental care unless a soldier is 100 percent disabled. That means they have to pay huge dental bills without any government help. One non-profit that is stepping up to the plate is Rebuilding America’s Warriors (R.A.W). Dedicated to providing reconstructive surgeries to American war veterans who have recently been wounded and/or disfigured while on active duty, R.A.W has enlisted the help of a dozen dentists nationwide. For more information, click here. Visit our Job Area - Check out our Job Board with thousands of jobs in many occupational areas and upload your resume so that Employers can find you. You should check out Virtual Job Fair for all the valuable employment resources they provide. to web sites which provide information on veterans benefits. The American Legion Centennial Celebration is not only about honoring the past 100 years of our history, but also preparing to continue our legacy of service. Events and activities at posts all around the world will showcase The American Legion "Still Serving America." the sacrifice made by our men and women in uniform. America’s VetDogs® – The Veteran's K-9 Corps® is a 501(c)(3) not-for-profit organization that serves the needs of veterans with disabilities from all eras who have honorably served our country. 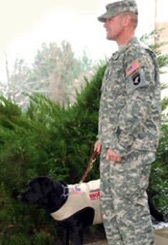 VetDogs provide guide dogs for veterans who are blind; service dogs for those with other physical disabilities; physical and occupational therapy dogs to work with amputees in military and VA hospitals; and combat stress control dogs to be deployed in theater. All Korean Veterans: The Korean government is presenting to all Korean War Veterans the Korean Ambassador of Peace Medal for who served during that period (June 25, 1050 to July 27, 1953. It is also available for the veterans who have participated in the UN peacekeeping operations until the end of 1955. The requirement is a copy of your DD 214 showing your dates of service. Please contact our Post if you're interested and you'll need a copy of your DD 214. Please pass this on to any of your fellow veterans who served during this period. educational options available to degree-seeking veterans. Look no further, check it out here. Check out this link to find lots of military and veteran discount. All stores on this list are verifed every three months and are conveniently broken down into categories. 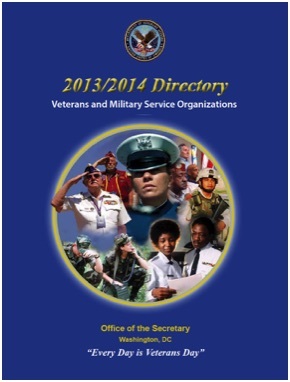 The list can also be saved in PDF form and used as a reference guide for active military and veteran discounts. The registry will help to monitor health conditions affecting eligible veterans and service members. We will use the data to improve our programs to help veterans and service members with deployment exposure concerns. on September 11, 2018 in Hartford (location is still being finalized). Appointments are limited, so don't wait to schedule an appointment.